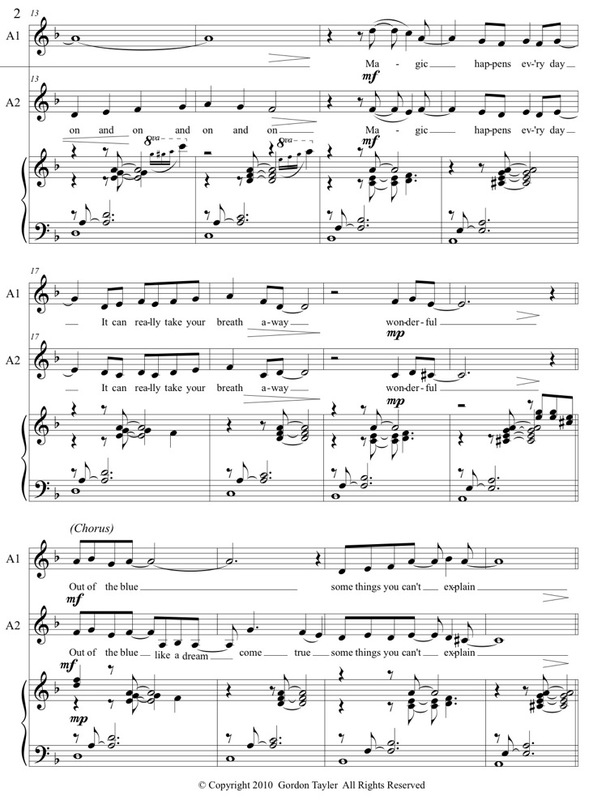 This vocal duet pitched for two altos, is a laid back swing / blues piece, with a very simple syncopated 4 bar piano riff, that allows plenty of room for vocal embellishing or improvising around the set melodies. There is lots of conversation & counter melodies with lyrical & melodic echoing for the singers to enjoy. 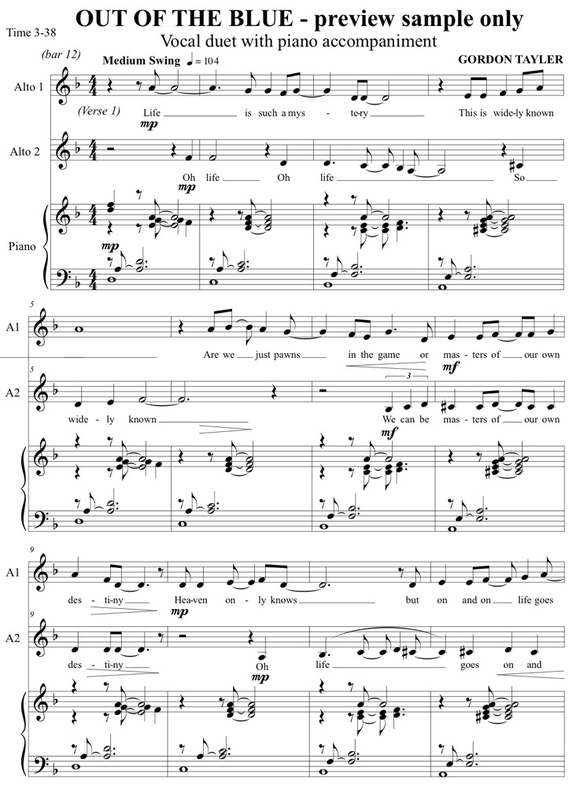 The vocalists can play around with the the rhythms of each phrase to give it their own feel. Experiment with the D blues scale as a basis for some improvised passages. Glissando slides between some notes, carefully shaped vibrato on long notes, and tapered phrase ends, can make this an enjoyable and creative exercise for the singer. Use the piano accompaniment backing track in the zip file to help keep your intonation on song while you push the vocal boundaries with some jazz techniques. Vocal ranges are Alto 1 – D4 to D5, Alto 2 – A4 to Bb5 (middle C = C4). With this quite narrow vocal range, this piece would be just as viable for a 2-part soprano/alto ensemble or choir.